This role will suit an organised and adaptable HR Generalist with a customer service orientation. The HR Administrator provides HR services to several not-for-profit organisations as part of a shared service arrangement. Responsibilities include HR compliance, administering HR policies and procedures including workplace health and safety, maintaining HR records and the HR calendar. They will assist with recruitment, onboarding and payroll for client organisations. The successful candidate will have experience preparing regular and adhoc HR reports and the initiative and problem-solving capacity to contribute to improving work practices. This is an opportunity to work as part of a small team with a focus on creating social impact. 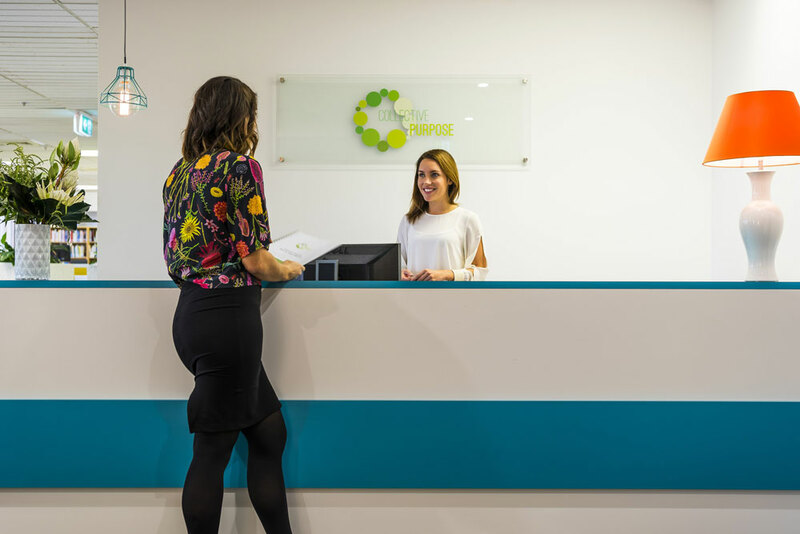 Collective Purpose offers flexible working arrangements and a workplace wellbeing program. This role is for an initial 6-month fixed term with the possibility of extending. Collective Purpose salaries are based on the Social, Community, Home Care & Disability Services Award (SCHADS). The role is classified at Level 4, with a base salary of $67,383 per annum (pro rata) plus super and salary packaging. Collective Purpose is situated in Woolloomooloo, NSW. Collective Purpose supports diversity and is an equal opportunity employer. If you are passionate about what you do, committed to making a difference and this sounds like your next role, we’d love to hear from you. Prior to submitting your application, download the recruitment information kit. Applicants must address all the selection criteria in the Position Description to be considered. Closing date: 30 April 2019. Please submit your application to jobs@collectivepurpose.org.au. This role will suit an organised and adaptable accounting graduate with a customer service orientation. The assistant accountant will partner with the accountant to provide accounting support services to small not-for-profit organisations as part of a shared service arrangement. This is a dynamic role with broad responsibilities with exposure to the senior management of client organisations. The assistant accountant is responsible for accounts payable and receivable, preparing statutory returns and assisting with month end reporting and payroll. The successful candidate will have experience working with MYOB and/or Xero and have the initiative and problem-solving capacity to contribute to improving work practices. This is an opportunity to make an outsize impact as part of a small team with a focus on creating social impact. Collective Purpose offers flexible working arrangements and a workplace wellbeing program. The support that volunteers and students provide us and our partners with are invaluable to our work. Occasionally there are opportunities to support our program and project delivery, as well as our operational and administrative work. Collective Purpose and our partners could have opportunities in the areas of health promotion, policy, research, event assistance, administration or communications. If you are interested in volunteering for, or completing your student placement with, Collective Purpose, please contact volunteers@collectivepurpose.org.au.